Summary: When handling your contact lenses, it’s important to practice good habits. 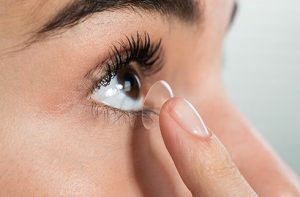 If you just making the switch to contact lenses, you probably have a number of questions on how to take care of them, clean them, and what you should and shouldn’t do. Unlike your standard pair of glasses, which only need a spritz from a glass cleaning solution and little wipe, contact lenses require much more attention to detail in order to get the most out of them. One of the most asked question is whether contact lenses expire or not. When you first visit your optometrist and look into contact lenses, they will provide you with a starter pack of contacts that are fit to your prescription. Depending on the type of contact lenses they give you, you’ll want to keep an eye on how long they last. For instance, some are daily lenses which essentially speak for themselves while others are meant to last no more than two weeks. To prevent any infections, it is crucial to not use any old lenses or lenses that are dated way past their expiration date. Be sure to follow your optometrist’s instruction and switch out your lenses regularly or purchase new ones from trusted suppliers like Lens.com for example. Contact lenses are not designed to last forever. The date listed on the box lets you know how long you can safely use them for. After this date has passed, for a variety of health reasons, it would be smart to throw them out and use a new pair. There have been a number of occasions where people would wear them far beyond their expiration date only to find themselves suffering from irritation, eye strain, and dryness.